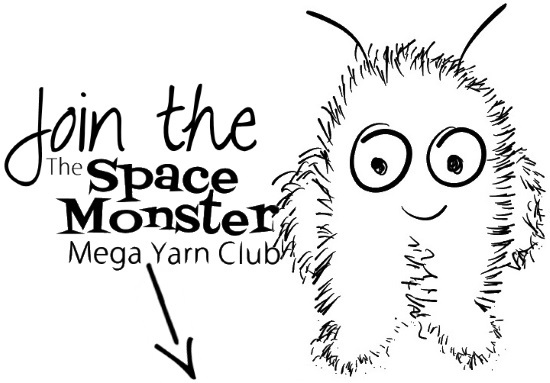 Because we know you love big smooshy yarns, doncha? There is nothing in the whole world like a skein of lovely, smooshy, thick yarn to make you want to pick it up, squish it… dive right into it! Big, bulky yarns call out to you, beg you to pick them up and press them against your cheek. And when you cast on, they always work up so fast! Big yarns are gorgeous. 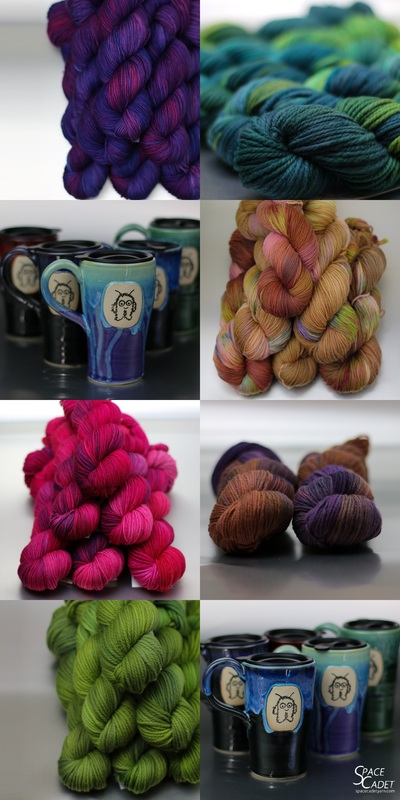 …big smooshy yarns, gorgeous new colourways that no one else can get, and seriously fab gifts! 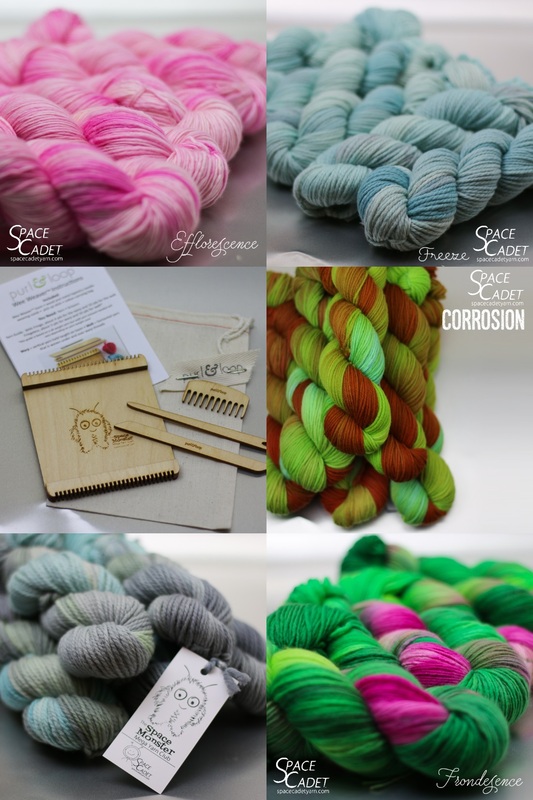 a fantastic parcel delivered to their door every other month, containing a beautiful skein of SpaceCadet® yarn in worsted or bulky weight, hand-dyed in an exclusive colourway* created to bring out the best in thicker yarns. 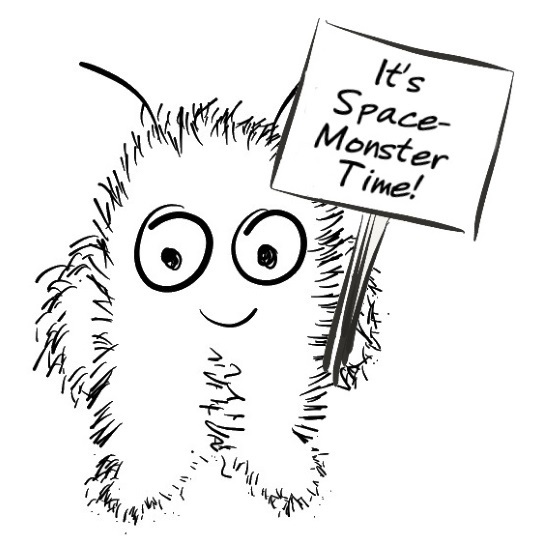 A fantastic SpaceMonsters gift tucked into every third parcel. We’re known for the great gifts we include in our club parcels — and for this club, we’re seriously upping the fab. You’re going love it! But bigger yarns mean bigger projects, right? Don’t you worry — in this club, you can buy extra skeins! 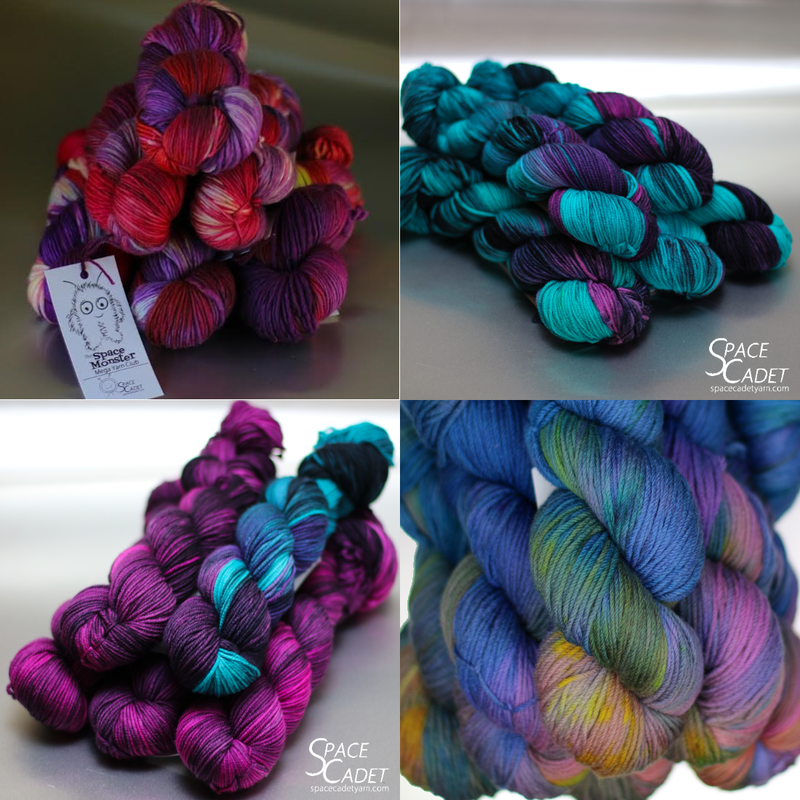 For a whole month after you receive your parcel, you’ll have an exclusive opportunity to order more skeins custom-dyed in the latest club colourway. You’ll receive an email with all the details about a week after your parcel goes out — and then all you have to do is pick your project! And the price is pretty exciting too! 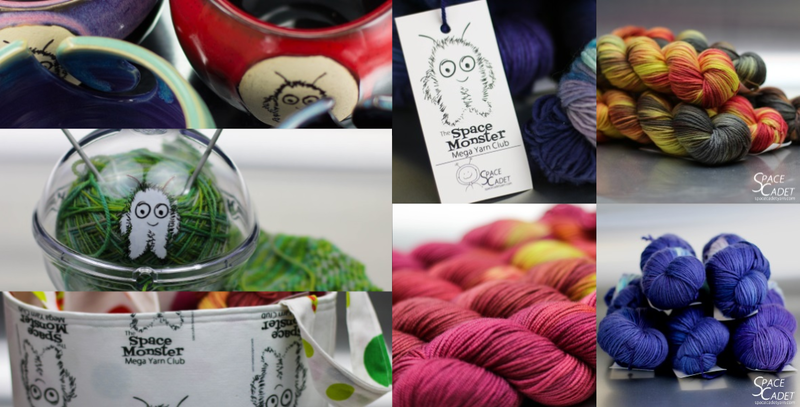 Plus, you can choose a double subscription for two skeins in each parcel, or a triple for three, giving you the option to cast on your project as soon as you open the box!